Produced by Mike Langford whom has worked with upcoming and established artists such as Evans Blue, Parabelle, Charlie Hope, Rains, Hawksley Workman, Sloan, Ian Thornley (Big Wreck), Jeff Martin (Tea Party), Crash Karma, Art Of Dying, Shiloh, Dane Hartsell, Rex Goudie, and Tupelo Honey plus mastered by Chris Crerar at Toronto’s fame Metalwork Studios. The powerful, heavy, dark yet bright, five track record is inspired by the many facets of life itself with song titles such as Hypocrite, title track Come And Get It, Truth or Dare, Hopeless and Gone. “You can be up or down, but no matter what you have to keep fighting and moving on,” explains drummer Stelio Kentros. “When someone wants to take everything away from you, they can come and get it, but that doesn’t mean they will succeed.” An idea at the heart of the Blind Race philosophy. 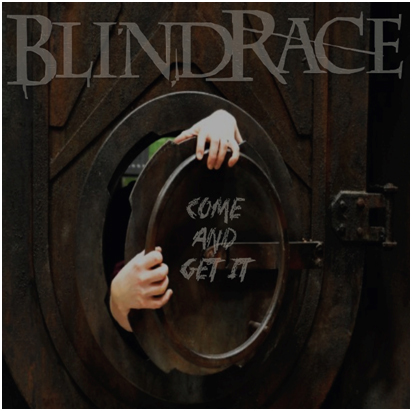 Come and Get it is due out on November 18, 2014 and will be available on itunes, bandcamp and all major online retailers.